Our employees demonstrate leadership and innovation in the workplace, helping to ensure we operate in a safe, socially and environmentally responsible manner. Agnico Eagle won the Intelex Program Maturity Award in recognition of improved tracking of our health and safety performance. Since automating our environmental, health and safety program through Intelex, we have reported a steady decrease in accident frequency rates at our mines. The Quebec Mining Association recognized our strong safety performance, honouring 45 of our front line supervisors for achieving 50,000 hours and more without any compensable accidents on their work teams between July 2016 and June 2017: 32 of the supervisors were from the LaRonde, Lapa and Goldex mines, while the remaining 13 were from Canadian Malartic mine. Lapa mine was honored for its stellar health and safety performance, winning the Canadian Institute of Mining, Metallurgy and Petroleum’s (CIM) 2016 John T. Ryan trophy for the Québec/Atlantic region for experiencing the lowest reportable injury frequency per 200,000 hours worked in the previous year. Pinos Altos obtained its fourth certification under the Industria Limpia-Clean Industry designation of the Mexican environmental authority, PROFEPA. This follows an audit confirming the mining complex operates in full compliance with all environmental regulations. Agnico Eagle’s Mining Reclamation team won the Tom Peters award for outstanding achievement in the practice of mine reclamation in Ontario. The award was presented by the Canadian Land Reclamation Association for their innovative work on safely rehabilitating a decades old mineshaft without disturbing the site’s designation as an important historical resource as part of the Cobalt Mining District National Historic Site of Canada. For the fifth year in a row, Agnico Eagle Mexico was recognized in the “Great Place to Work” program for northwest Mexico region – the only mining company included in the top rankings – where we ranked sixth overall for employers with more than 1,000 employees.The program recognizes companies that facilitate the sharing of employee knowledge and experience to improve both their business and the quality of their workplace. Agnico Eagle Mexico was also recognized with the Mexico Without Child Labour Award, which is presented annually by the Secretaria del Trabajo y Previsión Social department of the Mexican government. The award recognizes workplaces that design and implement employment practices aimed at preventing and eliminating child labour and protecting employees and young workers in Mexico by ensuring that no child labour, or any form of forced or compulsory labour, is permitted in the workplace. La India won a Diversity and Inclusion Award in Mexico’s Great Place to Work program, which recognizes companies seeking to improve the quality of their workplace. The honour was presented to La India’s Human Resources team during a special ceremony in Mexico City. Mike Malocsay, Exploration Logistics Manager for Agnico Eagle USA and an avid photographer, won the 2nd annual Art of Mining photography competition. Held at the Art Gallery of Ontario during the Prospectors and Developers Association of Canada (PDAC) convention, the competition highlights the positive impact of mining around the world. The Paul Penna Award – which celebrates the legacy of our founder who believed in supporting the well-being of employees and the communities in which we operate – was presented to two deserving recipients in 2017. Jane Werniuk, Senior Geologist, Technical Reporting, was honoured for her work with the Corpus Christi Refugee Resettlement Committee, which sponsored three individuals and a family of seven, helping them integrate into Canadian society. Jane, a cancer survivor, is also a member of the Women in Mining team which has participated in the Princess Margaret Cancer Foundation Walk for nine years – raising over three-quarters of a million dollars for the Princess Margaret Foundation. Dany Lauzon, Production Shovel Operator at the Canadian Malartic Mine, was honoured for his work as President of the Board of Directors for the Youth Refuge of Malartic in Quebec, which seeks to reduce and eliminate juvenile delinquency. Dany is also a volunteer firefighter in Malartic, regularly educating youth on fire prevention and response. Dominique Girard, Vice-President, Nunavut, received the prestigious Bill Moore Special Achievement Award from the Canadian Mineral Processors (CMP) for his outstanding technical contribution to the mining industry. Dominique has spearheaded efforts to improve Kittilä’s gold recoveries, as well as grow a skilled Inuit mining workforce and develop a long-term strategy for Nunavut. The 2017 Michel Letourneau Award, which recognizes innovation and teamwork, was given to a diverse LaRonde team for significantly improving mining production through an innovative project to detect and enable faster repairs of leaks in the compressed air distribution network at the mine. The project contributes to the mine’s cost efficiency and safety, and allows for deeper drilling and mine life extension. Marc-Antoine Beaulieu, a Junior Mining Engineer, Technical Services Team at the Support and Development Centre, received the RPMGlobal Innovation-Simulation Award for contributing to the enhancement of simulation software for the mining industry. This software is a valuable optimization tool, often used to validate equipment fleets for feasibility studies, for capital requests and for tracking equipment use, availability and efficiency. Our Val-d’Or exploration team made the top of the list for Canadian Mining Discovery of the Year! The team received the prestigious Bill Dennis Award during the PDAC’s Awards Gala for its discovery of the Amaruq gold deposits in Nunavut between 2013 and 2016. This extraordinary discovery ensures Agnico Eagle’s future in Nunavut for many decades to come, and will provide a major boost to Nunavut’s economy and communities. Agnico Eagle formally adopted the Voluntary Principles on Security and Human Rights (VP), one of a series of standards created to help extractive sector companies balance the obligation to respect human rights while protecting the assets and people at their operations. Agnico Eagle Mexico was recognized for the tenth year in a row – and Agnico Sonora (La India) was proudly recognized for the second year – with the prestigious Corporate Social Responsibility (CSR) Award, an honour that is presented annually by the Mexican Center of Philanthropy (CEMEFI) and the Alliance for Corporate Social Responsibility (AliaSRE). 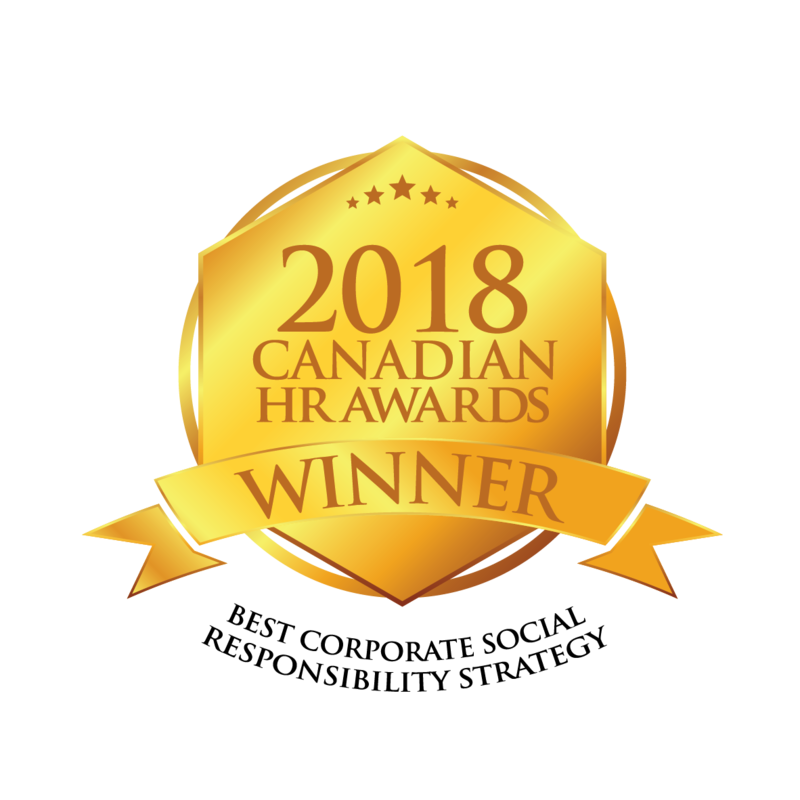 The award recognizes companies that incorporate a commitment to being socially responsible into their corporate culture by showing respect for people, ethical values, community and the environment.